Just a quick post today, have you tried tangling ona? 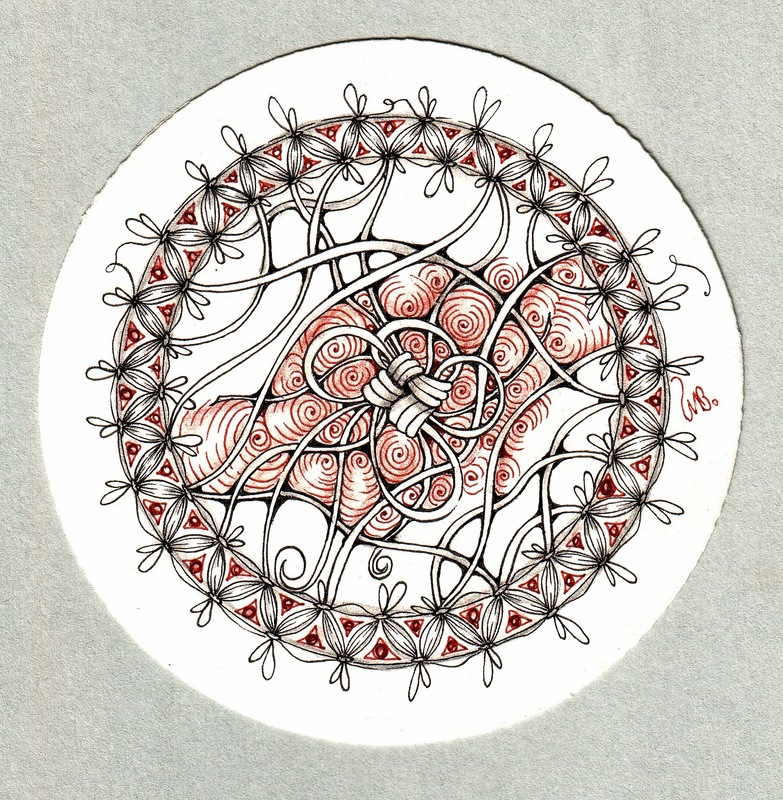 This is a beaut little tangle by José Meeusen of The Netherlands, it makes a delightful border. Wonderful tile! Really delightful border and I like your Mak-rah-mee! Gosh this is truly beautiful Michele! I love how you flowed into Mak-rah-mee! I'm having lots of fun with Mak-rah-mee and ONA will, of course, be a great connector. You have such fun ideas. Thank you for your art. I appreciate it so much. 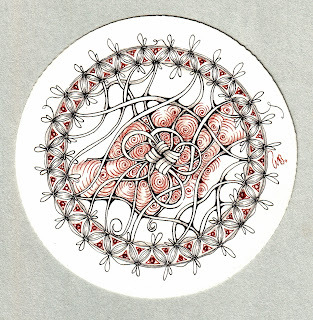 Beautiful Zendala, I love ONA as a border,I will try it soon !